Adaptive running clubs champion the athletic, fitness, social, and developmental goals of each school's student body. Students gain a sense of community by joining their school-based running club. As they improve their endurance, speed, body awareness, and movement patterns each training session, they learn to self-identify as athletes and develop a life-long fitness skill. Each running lap, stride, drill, and stretch is specifically curated to improve each runner's athletic performance, coordination, and biomechanics. A highly specialized curriculum is formatted to support the needs of each school, running club, and individual runner. Track and field is a uniquely individual team sport where participants work simultaneously to their achieve their goals, no matter how diverse they may seem. 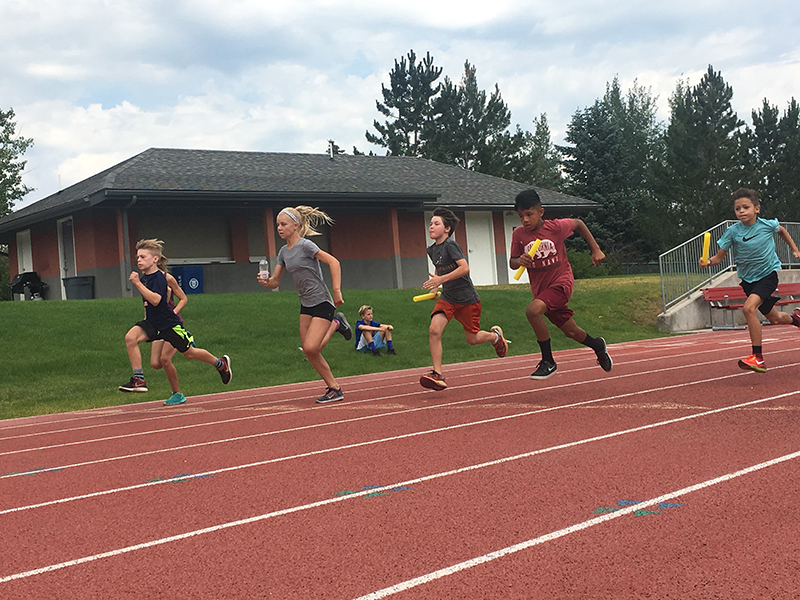 An inclusive track and field team allows all students to realize their athletic potential, train weekly to improve their speed, stamina, and running form, and compete in an inclusive and safe series of races. Schools and communities can learn the basics of track and field, responsible running, and adaptive training methodologies. Students and staff are taught how to properly warm up, structure a training session, stretching exercises, and cool downs. Specific drills and exercises are formulated to develop balance, coordination, increase muscle tone, and improve running form. Each track and field clinic is a highly engaging, active, and fun physical learning experience for the entire community!